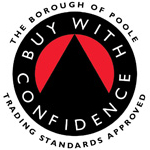 We are delighted to announce that in October 2012 Dorset tree surgeon Mark Worboys became approved by the Trading Standards Service and were awarded membership to their “Buy With Confidence” scheme. 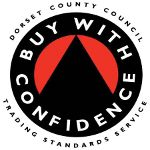 By being accepted into the Buy With Confidence scheme we demonstrate our strong commitment to all of our Dorset customers from free tree surgeon advice, quotations, through to completion of tree works. Having qualified from Merrist Wood College in '94 I now own a local tree surgery business serving Poole Bournemouth in Dorset. I've been trading successfully for 12 years. If you need a tree surgeon, get in touch. Congratulations and well done Mark. Get in touch and let us provide a no obligation free quotation for you. Mark Worboys Tree Surgery undertakes all aspects of tree work in and around the Poole, Bournemouth and Dorset area. Tree work is what we know and tree care is what we do all year round.